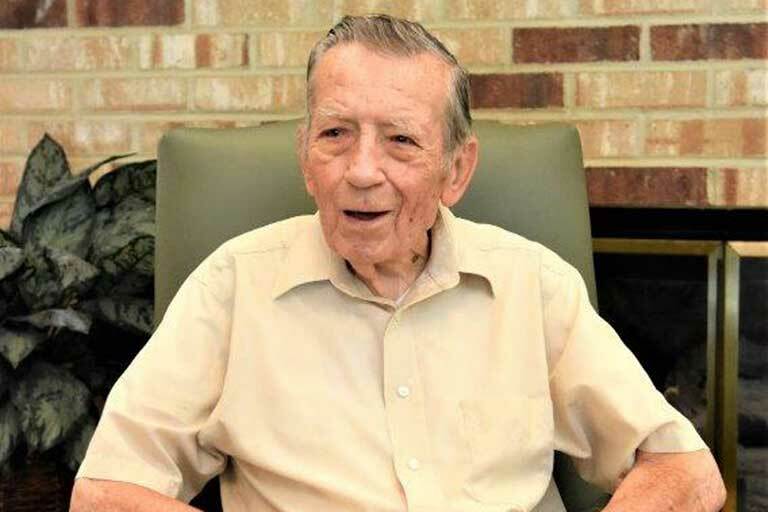 As National Assisted Living Week comes to a close, we reflect on the many ways our residents, like Joseph Kordek, instill a sense of family in each of our communities. During his move to The AbbeWood in Elyria, Ohio in June of 2015, 93-year-old Joseph Kordek, was determined to keep his sleeves rolled up and his hands working in the soil. So, he shared a simple idea of growing a facility vegetable garden. Associates loved the idea and soon encouraged Kordek to begin creating his garden. He planted tomatoes and peppers and tended to them each day. He was eager to grow fresh vegetables of his own, but he quickly discovered that he enjoyed giving the vegetables away more than keeping them to himself. The vegetables became an easy way for him to brighten other residents’ days. As Kordek continued to work in his garden, he noticed that residents and associates began walking outside to see the garden and talk with him. He discovered that the garden brought people together. For supplies, Kordek goes to a local greenhouse where his son is the foreman. Through visiting the greenhouse regularly these past few years, he has formed special friendships with the workers there. Even outside the facility, his garden fosters friendships. Looking back on his childhood, Kordek realizes that gardening has always helped deepen relationships for him. He grew up in Chicago, but his family owned a piece of land outside of the city to grow produce for personal use. For Joseph Kordek, working with the land and tending to the soil is not a burden but a blessing. He chooses to continue gardening because of the sincere joy and feeling of accomplishment that the activity brings, but most notably, because it allows him to meet and love others like family. Kordek’s garden continues to grow at The AbbeWood, and so does his family. It’s apparent to all that his love for relationships and gardening is forever.